Soul Dog, located right next to the train station in downtown Poughkeepsie, is offering a new twist on a time old classic. “All they serve is hot dogs?” you might ask, “But they’re so boring and simple.” Well, Soul Dog is happy to prove you wrong. 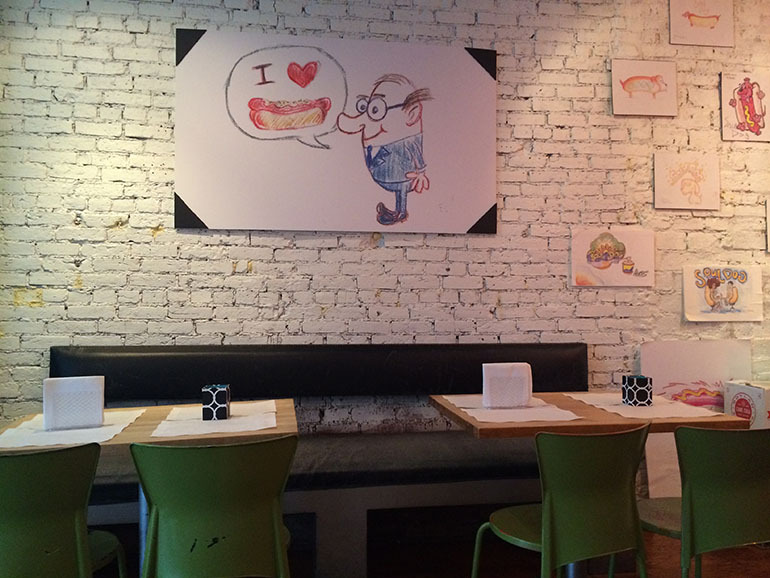 Although they do serve some of the usuals, like NY beef dogs with sauerkraut, and corn dogs good enough to bring you back to your childhood, Soul Dog also deviates from the typical options and offers a variety of mix and match toppings. Can’t think of what you want on your dog? Don’t worry, because Soul Dog has a variety of “House Dogs” and “Show Dogs” that offer something for everyone. Catering to all different dietary needs, Soul Dog serves healthier alternative hot dogs too—like the Paleo Dog and the Tofu Pup . But have I mentioned they’re known as a gluten free oasis? Gluten free eaters, rejoice, because this hot dog heaven offers gluten free hot dog buns and desserts. After a long time looking at all the different options, I went with a classic – The All American Dog with fries on the side. 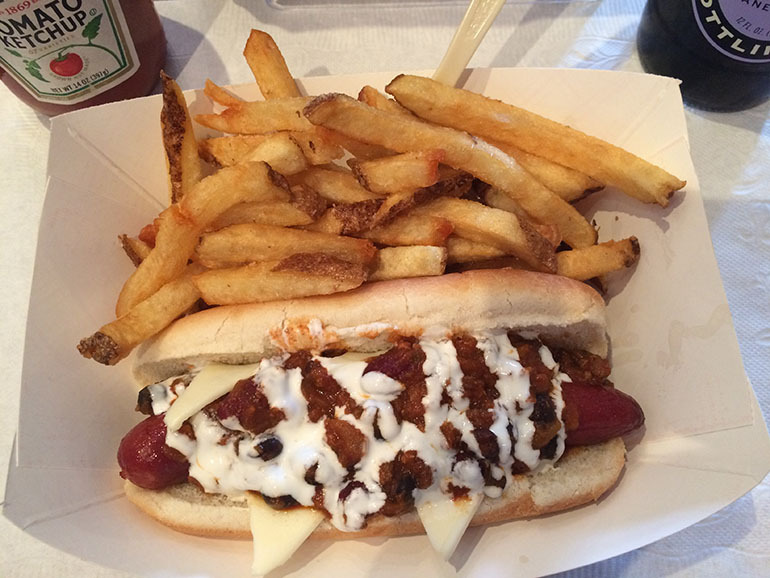 The beef hot dog was topped with flavorful chili, slices of American cheese, and a drizzle of sour cream. With the toppings-to-hot dog ratio on point, this dog was more than just a backyard BBQ staple, it was a culinary delight. The price tag on all of these delicious options might sound like it would be steep, but it’s exactly the opposite. House Dogs and Show Dogs only range from $4.50 to $5.50; whereas A La Carte Dogs start at $3.00 with each topping ranging from $0.50 to a dollar while gluten free hot dog buns only cost $1.50 extra. The best part? You can add their mouth-watering homemade fries for only $2.00 more. So next time you’re in the mood for a good eat at a great price, check out Soul Dog – a hidden treasure right in the heart of Poughkeepsie.